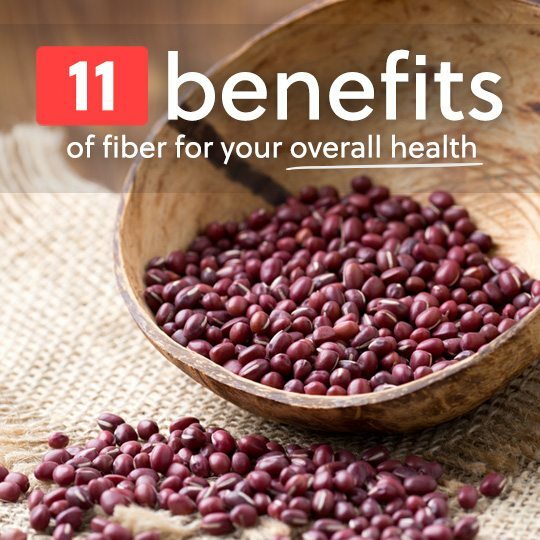 The benefits of fiber can’t be overstated, and until you have met your daily requirement consistently for a month or longer, you just can’t imagine how great you’ll feel. If you need some additional reasons to eat more fiber each day, here are some of the biggest ones. Fiber helps your cholesterol levels by blocking harmful cholesterol from making it into the bloodstream. Specifically it’s the soluble fiber that does the most work in this department. Soluble means it’s soaked up by the body rather than insoluble, which remains undigested during its trip through the body. High cholesterol is a precursor to the larger problem of heart disease. That makes it something you’ll definitely want to keep your eye on, and get checked regularly. If your doctor has told you to watch your cholesterol, they probably asked you to up your fiber if you have been running low. Best Sources of Fiber for This Benefit: Oatmeal is a wonderful source of fiber that is especially good at soaking up cholesterol and whisking it out of the body. Add some fruit to your oatmeal and you’ll be getting even more soluble fiber. Recommended fruit: Strawberries, Blueberries, and Apples. Eating the right amount of fiber each day contributes to your quest of maintaining a healthy weight. Not getting enough fiber causes you to store excess body waste and leaves you susceptible to toxic build-up, while making you less likely to have that get-up-and-go that leads to exercise and other activities. Being overweight or obese leaves you at a higher risk for a number of conditions and diseases. Fiber can help you avoid these maladies by putting you at the ideal weight for you. When you combine a higher fiber intake with a balanced diet and exercise weight loss comes naturally. Best Sources of Fiber for This Benefit: Eat a wide variety of foods that contain fiber in order to meet all of your nutritional requirements for a healthy weight. Fruits and vegetables provide the vitamins you need each day, and beans and nuts will help you get all of the important minerals needed. Spikes in your blood sugar level can leave you feeling foggy and fatigued. It can occur from eating a carb-laden meal that isn’t properly balanced. Adding a high-fiber food that is also a healthy carbohydrate can go a long way towards feeling great all day. 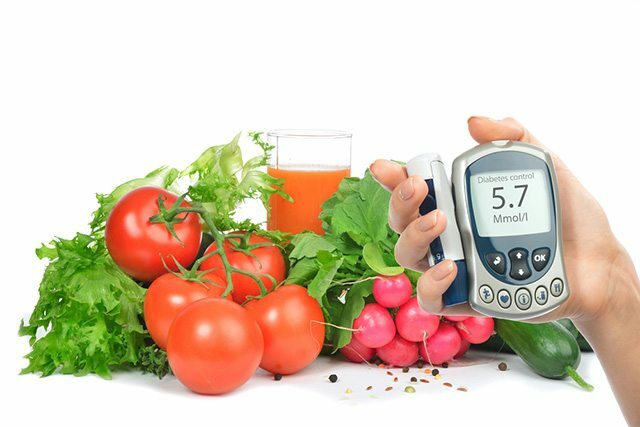 Maintaining healthy blood sugar levels is important as it helps you prevent diabetes, but also keeps you at a healthy weight. It also means you’ll be alert and focused throughout the day, with steady blood sugar levels instead of spikes that lead to fatigue and foggy headedness. Best Sources of Fiber for This Benefit: Beans are the best source of fiber to help keep blood sugar levels stable. They are digested slowly by the body, will keep you full for several hours, and provide plenty of fiber to get you closer to your daily requirement. They’re also full of important minerals the body needs replenished each day. The most common benefit experienced by taking in the needed amount of fiber each day is that you’ll stay regular. This means you’ll have fewer instances of both constipation and diarrhea. Fiber helps keep your stools soft malleable to prevent constipation, and bulks them up to prevent diarrhea. Your body needs to stay regular because it facilitates the removal of harmful toxins. A sluggish digestive system leaves you at risk of re-absorbing toxins that the body is trying to release. Help keep it humming along by taking in the right amount of fiber for you each day. Best Sources of Fiber for This Benefit: Any and all fiber will help keep you regular, but avoid products in the store that are labeled as being high in fiber. Often this is synthetic fiber and not natural fiber like the kind found in fruits and vegetables. It’s nice to think that we can get half the day’s fiber from one fiber bar, but that’s not the optimal way to meet your fiber needs. A healthy colon is the cornerstone to overall wellbeing, and has trickle-down benefits to many other systems of the body. Contrarily, when it’s clogged and dysfunctional, evidence of the dysfunction will surface in in other areas as well. You just can’t have a healthy colon without getting enough fiber over the long term. 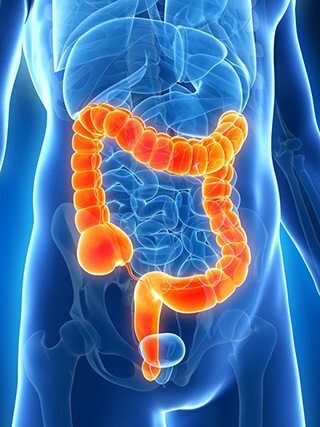 Eventually the cumulative effect of insufficient fiber will take its toll, and you’ll lose some efficiency of the colon, causing complications of all types, like constipation, IBS, hemorrhoids, and others. Best Sources of Fiber for This Benefit: You’ll want to get both insoluble and soluble fiber in order to keep your digestive tract clean and healthy. Most fruits and vegetables will contain some of both of types, and are the best source of fiber you can take in for these benefits. Best Sources of Fiber for This Benefit: Nuts may be the best way to go for lowering your risk of heart disease. Not only do they contain fiber, but they’re helpful in lowering triglycerides in the body, and have been directly linked to helping to avoid heart disease. Hemorrhoids can be a painful and intense condition, and can be caused by or worsened by hardened stools caused by a lack of fiber. Straining to go and spending longer on the toilet than would otherwise be necessary are two contributing factors when it comes to hemorrhoids. If you’ve ever had a case of hemorrhoids, you definitely don’t want to experience it again, and eating a diet rich in fiber can help make sure it doesn’t recur. If you’ve never been through it but would rather just avoid it altogether, increasing your fiber to the recommended daily suggestion is a smart move. Best Sources of Fiber for This Benefit: Leafy greens are a great source of fiber that will help to produce easy-to-pass stools that can keep you free of hemorrhoids, or to help your hemorrhoids to heal. This is arguably one of the most important health benefits of fiber, and not to be overlooked. Getting enough fiber each day has been linked to a decreased rate of many types of cancers, including breast cancer, prostate cancer, and colon cancer, although studies on each of these have had mixed results. Fiber may not have been shown to directly responsible for cancer prevention, but it adds to a properly functioning body that is at a healthy weight and is keeping toxins from lingering around. 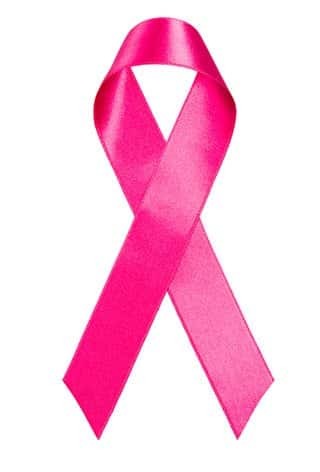 It’s just one factor in your overall lifestyle to avoid diseases like cancer and other potentially fatal conditions, like heart disease. Best Sources of Fiber for This Benefit: Fruits and vegetables not only contain fiber, by also contain antioxidants and phytonutrients that keep cancer away. Broccoli and cabbage are good sources of fiber, and are also cruciferous vegetables that have been proven to act as anti-cancer agents in the body. Fiber benefits the body in so many ways, some of which we’ve seen can mean the difference between life and death, while others simply help you look and feel your best each day. By getting enough fiber you’ll be helping to flush out toxins that would otherwise cause outbreaks and blemishes. You’ll also be preventing constipation, which can lend a hand to an assortment of unwanted skin conditions. Keeping hydrated while you increase your fiber intake is important, especially for the skin, so make sure you’re drinking enough water while you get more fiber. Best Sources of Fiber for This Benefit: To keep your skin looking and feeling great you’ll want to make sure you’re eating fresh fruits and vegetables. You’ll also want to focus on beans for the minerals they provide. Nuts can provide healthy fat that also helps give your skin a natural glow. Getting the right amount of fiber will give you a light and bouncy feeling, and put a pep in your step. You won’t feel fatigued and sluggish like you do when you’re constipated carrying around extra body waste. You’ll have energy and feel like being active when you’re regular day in and day out. One way to tell if you’re getting too much fiber is that you won’t feel light and buoyant, but rather gassy and bloated. Make sure that you only get the amount of fiber required, and don’t be overzealous in your quest to get enough. As always with proper health, moderation is key. Best Sources of Fiber for This Benefit: Go for a broad mix of high-fiber foods for the best effect. Beans, fruits, vegetables, and nuts are the best way to go. Avoid grain sources of fiber if you want to feel energetic and full of focus. We’ve already seen how fiber can help prevent heart disease, but it specifically helps with one condition in particular: stroke. One reason fiber helps you avoid a stroke is that it helps to lower your blood pressure, one contributing factor to a higher risk of stroke. Helping to lower your cholesterol is another factor in lowering your stroke risk. The combination of a lower blood pressure and lower cholesterol could be enough to shift you out of the danger zone and back to the healthy side of the stroke risk chart. Best Sources of Fiber for This Benefit: Cholesterol-lowering fiber sources like oatmeal are the best for reducing the likelihood of a stroke. You can also increase your intake of fruits and vegetables high in fiber, many of which contain antioxidants which further decrease your risk of heart-related diseases.